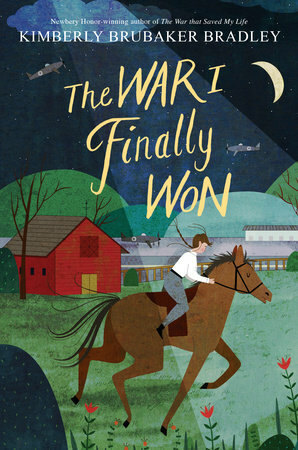 As with its prequel, The War That Saved My Life, this continuation of Ada’s story is powerful. Appropriate for middle-grade readers and yet saturated in thought-provoking material for adults to wrestle with and discuss, it would make for a great read-aloud. Ada’s clubfoot has been surgically repaired and she continues to be in the care of her loving guardian Susan, but otherwise, life is still confusing and scary in the British countryside during WWII. Ada befriends a German Jew (and learns about the difficult life as a Jew), grieves the loss of friends, gets annoyed by Lady Thornton’s seemingly unsympathetic and selfish expectations, and tries her best to pay off the kindness of Susan by trying to earn her love (which, when she finally realizes she cannot do because Susan loves her regardless of her attempts to earn love, is such a beautiful picture of grace). She continues to struggle with (what I believe is) anxiety attacks and PTSD from memories of her abusive biological mother. I admired how the author approached this hard topic in a way that was not stigmatizing but honest, vulnerable, and ultimately healing for its protagonist. Ada has complex emotions; first, she’s a young girl in a scary time in history and second, she was neglected and abused by the person she should have been loved and protected by, so she makes judgements and says things that are emotionally-charged and rude at times. But as the story progresses, the reader watches her growth, willingness to accept her own mistakes and apologize, and her courage, love, and loyalty to her new family. If you enjoyed The War That Saved My Life, this second novel is definitely worth picking up! 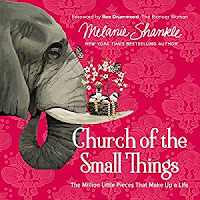 I heard about the author’s comedic writing style from a variety of sources and finally gave her a try, starting with a book that focuses on a subject I love: finding joy in the small moments of life. Overall, a fun book with clean (often self-deprecating) humor with some thought-provoking reflections. I enjoyed all the San Antonio references since we live in the same city. But a lot of the comedic references and punch lines were before my time (she was an ‘80s kid) and flew over my head. Though her comedic delivery was amusing, the actual content was often lost to me. The chapters are not really connected and read more as stand-alone memoir-ish essays (or blog posts) on different topics (some more serious than others), à la Shauna Niequist, Ann Vosksamp, Jen Hatmaker, etc., which I am not always crazy about but she pulled it off pretty well. I didn’t come away with any huge insight, but it was good for me to jump out of my comfort reading zone and try something different since I don’t read comedy. I’ve heard of this book for years and finally picked it up when I found it on sale at a library book sale (score!). It’s a heartbreaking look at the physical, emotional, mental burdens young soldiers carried during the Vietnam War. It’s a heavy book dealing with the weighty subjects of war, death, regret, guilt, and difficulties of returning home post-war. It seems disjointed at times, with the stories not in chronological order and sometimes a bit hard to follow with all the military jargon I did not know, but that reflects war, I suppose: disjointed, confusing, complex, and not following a pretty little outline or plan. It reads like a memoir but is labeled as fiction. I am guessing he used real experiences to weave stories of the war but I didn’t realize this until halfway through the book when he became an unreliable narrator, admitting these stories are both true and not true at the same time. I am guessing he wanted to protect the memories of his comrades and also wanted to use artistic license, but it caught me by surprise and confused me for a bit until I thought about why an author would choose to do this. Then I forgave him and carried on. I honestly did not know much about the Vietnam War (what I do know, I learned from Forrest Gump). I wanted to read about the experiences of those who fought in this war, but I don’t think I was prepared for some of the gut-wrenching stories that reminded me how brutal and ugly war is. I am incredibly thankful for those who have served and who currently serve our country in the military. Their multiple sacrifices, courage, and willingness to carry the load of protecting our country is astounding. I can’t say I enjoyed this book because the content was so disturbing and sad, but I am glad I read it because it gave me a perspective I otherwise do not often read in books or watch in movies. It humanized those who fought in Vietnam and used storytelling as a way to wrestle with the complexities and grittiness of war. Caution: LOTS of cuss words and a few derogatory terms for women. After the untimely death of her father (who immigrated from Sweden), Alexandra Bergman takes over the Nebraska farmstead in this novel set in the late 1800s. 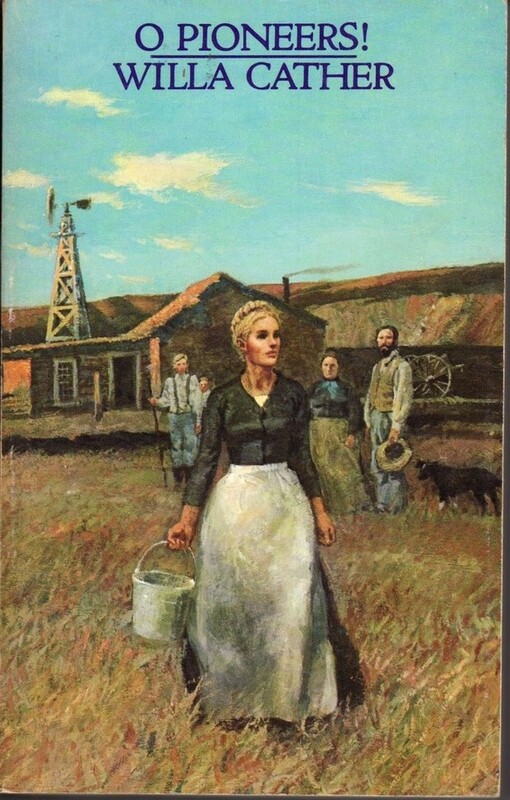 Her relationships with her brothers (two of whom are contentious and she spoils the youngest), her relationship with the land (full of toil and struggle), and her relationship with her neighbors (all are immigrants from various European countries) carry most of the novel. Cather is hailed as creating strong female leads in her novels, but I was not impressed with Alexandra nor the novel itself. I felt like she, along with all the other characters, where one-dimensional and often emotionless. The novel felt disjointed because of this as well as because of very long gaps between the five sections of the books, spanning decades that were quickly brushed over, despite big life events occurring in those gaps. I enjoy slow, thoughtful novels but this was just slow and dull. Jumping between different characters' voices helped understand a bit more about the overall cast, but I just wasn't really interested in any of them. They seemed forgettable and even somewhat unlikeable because of their lack of emotions. I could not connect or relate to any of them because I didn't feel I really understood them, which I am realizing is something I like in fiction. I need some introspection from the characters, which is easily done in first-person perspective, but the third-person perspective further distanced me from Alexandra. By the time some action finally happened, the novel was nearing the end, and I just did not really care at that point. Even the love stories, if I could call them that, lacked emotions. The only redeeming quality was the descriptions of the Nebraska plains. I think Cather managed more emotions in the soil than in the people of this novel. Maybe there was a minimalistic writing technique she was consciously using, but the writing itself seemed flat and void of adjectives or description, much like the arid climate and Nebraskan topography before pioneers started cultivating the land. For a novel touted as a classic, I expected to enjoy it more and was disappointed. 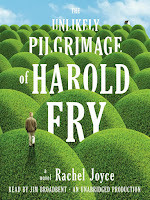 Recently retired, Harold Fry lives in a small English village with his wife Maureen. A letter in the mail from an old friend, alerting him that she is dying from cancer, propels him towards the walk of a lifetime. He is convinced that if he continues walking the six-hundred miles to the hospice where his old coworker friend is at in Berwick-upon-Tweed, that she will live. But walking is hard, lonely work and soon Harold hits trial upon trial, from painful blisters and aching bones to the ample quiet time to process ways he feels he failed his wife, son, and coworker. Meanwhile, his wife Maureen is also stuck with ample time to think about what went wrong in their marriage in past years as she is separated from her husband by miles and miles of British roads. 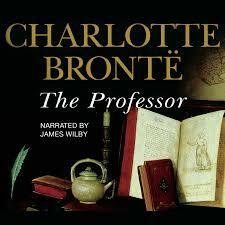 This is an endearing and charming audiobook with unanticipated twists and turns. Harold is a lot more complicated than I assumed on the first few pages and I enjoyed delving into his story with each chapter. 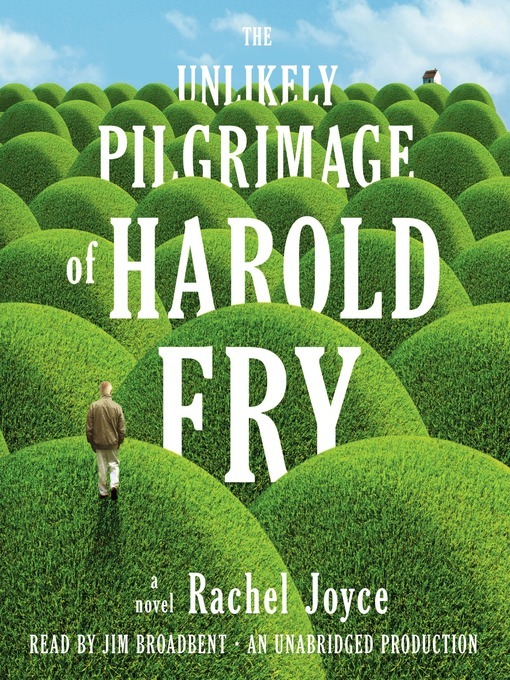 The descriptions of the idyllic British countryside and towns such as Bath (Jane Austen wonderland) made me swoon, but it was Harold and Maureen's relationship that I loved most about the book. It was messy and real but neither was demonized; they each made mistakes and the reader could root for both of them along the way. Caution: There are a few chapters where Harold meets individuals who cuss A LOT. It was annoying but was not constant throughout the whole book so I was able to deal with it, but wanted to mention that. I am slowly making my way through the Brontë sisters' novels. This first novel of Charlotte's (before her masterpiece that is Jane Eyre) is not at all as riveting, mysterious, and well-fleshed out as the aforementioned Jane Eyre but it is still an impressive feat for that time in history that a woman wrote from a man's perspective. William Crimsworth is similar to Jane in that he is basically without a family (his only brother is an absolute pompous jerk so he hardly counts) and he has to find a way to support himself. After a disastrous experience working for that brother, he sets out with the recommendation of a new friend to pursue life and a career in Brussels. He soon becomes an English teacher at two neighboring boarding schools (one for boys and one for girls). There he meets two vastly different women who capture his interest, and this is where it gets interesting. I was thinking about quitting the book until I was past the halfway point because I just was not captivated by the story and it seemed to be dragging with far too much introspection (whereas the earlier-reviewed O Pioneers had little to no introspection, this one went a bit overboard). I think it is also harder for me to relate to male characters, which further kept me from loving the tale. But as the love interests started unfolding and eventually the love story of the lady he chooses, I enjoyed the simplicity and sweetness of that character and she made the book more enjoyable for me. I related to her in a few ways and was rooting for her whenever hard things happened in her life. Caution: Unless you are fluent in French, you may need to consult Google translate for a few conversations. I was able to get by but I am sure I missed a bit of wit and humor by not translating these parts (typically dialogue between French-speaking characters and William). This reminded me of: Mr. Rochester by Sarah Shoemarker (I LOVED this retelling and found it captivating even though it was from a male's perspective). Sally Clarkson is well-esteemed by Christian women for her wisdom and direction in areas such as homeschooling and child-rearing from a Christian worldview. 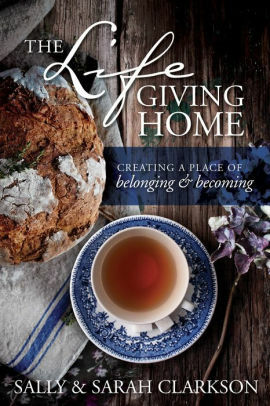 In this book, brimming with all sorts of wisdom and practical ideas, she and her adult daughter team up to provide readers with a delightful and helpful treatise on homemaking, which they refer to as creating a lifegiving home. Life-giving is my word for 2018 and after hearing excellent podcasts interviews with Sally last year, I was pumped for this book. Sally and Sarah do not tell you what you must do to make your home more life-giving. Instead, they share why they find it is important for the home to be a place that offers comfort, rest, safety, encourages creativity, and assures all those who enter of the love they will be greeted with. And they provide a plethora of ideas that worked for their home in different stages of life while not making it into a manual to follow. I did not feel like I had to follow a step-by-step guide (nor was there one to even attempt to follow) but instead, was inspired by their experiences and encouraged to think of my own ways to create a life-giving atmosphere in our home, which at the moment is a one-bedroom apartment. Their tips did not require massive investments of money or accruing knick-knacks that will just add to the busyness of a home. Instead, both Sally and Sarah were practical, down-to-earth, and realistic in their the ideas and tips they gave since they know every family culture and financial situation is different. As an avid reader, I relished any mention of their read-alouds, curated reading baskets for little ones during quiet time, and any mention of beloved books they enjoyed since they are avid readers themselves. I also was inspired by their family culture of encouraging conversation, openness, trust, validation of one's emotions and experiences, and the parents' involvement in their children's lives in ways that were intentional without being overbearing. I will surely return to this book in different stages of my life, especially when we have children. The chapters are divided by months of the year, each with a different topic, which was well-structured and easy-to-follow. I absolutely loved this book and am now such a fangirl of Sally! Her podcast, At Home With Sally, is currently focused on her newest book, a parenting book co-written with her husband Clay, called The Lifegiving Parent (which I am stoked to read once we are parents). Also, if you are interested in hearing more from Sally but not sure if you want to dive into the book just yet, these podcast interviews from Risen Motherhood and The Simple Show led me to wanting to read anything and everything by Sally. One of the root causes of Nazi Germany's evil agenda was a "war of ideas". Anything that did not align with Hitler's agenda was denounced and opposed, eventually leading to brutal, malicious murders of the Holocaust. Early on, Hitler's way of controlling German citizens' thinking was to maintain a tight grip on what ideas were available to them. Early in the 1930s, Nazi-sancioned book burnings destroyed millions of books as part of the plan to have power. Once war was declared, Nazi-occupied countries fell under the same fate: “Once a nation fell to Germany, great care was taken to refashion that country’s concepts of culture, history, literature, art, media, and entertainment in an effort to solidify and reinforce Hitler’s power. Often, the first cultural pillar to be toppled was the library." When Americans entered the war, joining Allied forces in 1941, books were one of the weapons against Hitler's wicked plans. With dwindling finances available to boost moral and offer some kind of diversion and entertainment for soldiers fighting in World War II, American librarians gathered twenty million hardcover books to send to their troops. Men who were never interested in opening up a book now feasted on the written words of anything they could get their hands on. Classics like A Tree Grows in Brooklyn and The Great Gatsby were little known until they became beloved and requested by soldiers who wanted reminders of home. But these books were too heavy and bulky, so a genius program was developed in 1943 through a partnership of the War Department and major publishers: The Armed Services Editions were lightweight, pocket-size paperbacks that would be distributed monthly throughout the rest of WWII. 1,200 various titles printed in over 20 million copies of these ASEs were in the backpacks and pockets of American soldiers while waiting to land in Normandy, in trenches anticipating the next battle, in field hospitals while awaiting operations, and in the minutes before falling asleep only to wake to another day of life-threatening combat. Soldiers wrote to their favorite authors, including Betty Smith (author of A Tree Grows in Brooklyn), telling them how much their books meant to them while on the front lines of the war. And after the war, a GI bill offering free education allowed soldiers to continue their newfound love of reading by attending colleges and attaining careers they otherwise may not have had opportunities to pursue. 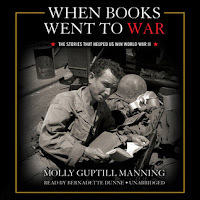 This is a fascinating look into WWII from a literary perspective that had my book-loving heart skipping a beat, especially since I love learning about WWII history. If you want to be inspired by the power of books, especially in their role against Hitler's "war of ideas", I highly recommend this book. I was shocked and amazed as I heard the history unfold on the well-narrated audiobook. Excellent book for both history nerds and book nerds alike!! I think it was back in 2012 when I first read Diane's blog while occasionally attending Solid Rock Church, which her son, author John Mark Comer, and her husband started in Portland. Her wisdom in her writing was apparent but life moved on (and so did I, to Seattle and eventually Texas), so I forgot about the blog until I heard about Diane's book late last year. 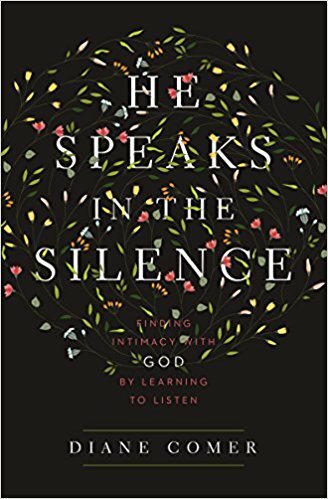 From the title, I thought it would be more of a manual for ushering in a quiet atmosphere for listening to God but this was only a very small portion of the actual book. Instead, the bulk is about Diane's difficult journey of progressive deafness that started when she was only twenty-six years old. A self-proclaimed "good girl", Diane's faith in God was rocked to the core when her formula of obeying God to attain his blessings didn't quite match up to reality. Why was she losing her hearing and becoming increasingly unable to communicate with her family, friends, and community? She was a worship pastor's wife and checked all the boxes for being a "good Christian". But through this journey, she learned deep truths of God's faithfulness even when life does not end up anything like we think it should and saw her own sin and legalism, ways she was deaf to God's voice. Her honesty about her anger against God and how she came thisclose to abandoning her faith was powerful. Her encouragement for others battling similar circumstances was inspiring. Her Scripture-saturated beautifully-penned prose was a delight to read. I deeply appreciated Diane's honesty in this journey, especially as she realized the blessings of not being able to hear. 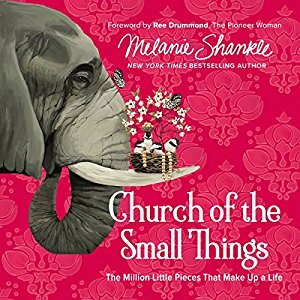 I shed tears as I read about the pain of not being able to hear her children talk about the big and little things of their day, not being able to follow along in conversations because of brash background noise picked up by hearing aides, and not understanding the words of her son's sermons as she tried to read his lips during church services. I cannot fathom who difficult it is to live without hearing and this book helped me understand the struggles of the deaf community a bit more. But as she drew near to the One who loved her through it all, she experienced the blessing of what she had previously only seen as a curse: the silence she experienced was a conduit for learning to listen to God in a way she never knew possible. 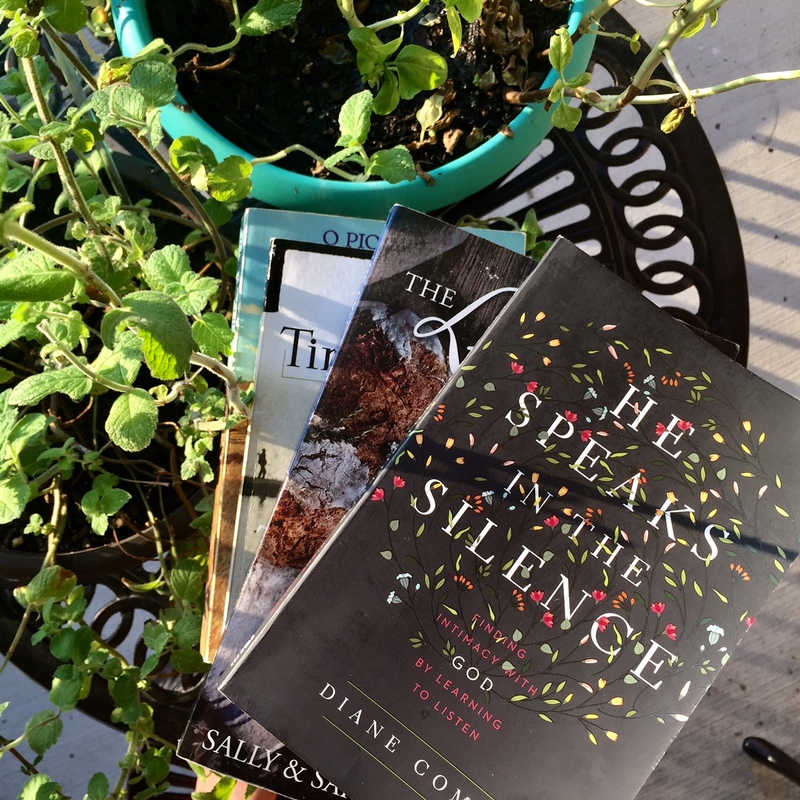 Diane's blog is a great way to read a bit about her if you are interested in the book! For more info about the books above, click on the Amazon links below (affiliate links).